Florida is one of several states considering new laws that would allow guns on college campuses. Supporters argue it would reduce serious crime but as history has shown, students, alcohol, drugs and guns are hardly a perfect mix. Nikhol Cruz Cepeda doesn’t look like a victim of child abuse. She has a wide, sparkling smile, enjoys spending time with her family and close circle of friends, and is doing well at school. Like any young teenager, she is a little shy when you first start talking to her, but she warms up quickly and is soon chatting happily about maybe working in science when she completes her studies. Her mother, Wandalee, is a devoted single parent who works hard at her job in a busy Puerto Rico car rental agency, in order to send her 14-year-old to one of the island’s best private schools. She says she has no bigger priority than steering her daughter towards adulthood in a happy, healthy and safe environment. Yet under a controversial new law that might soon be adopted by the Puerto Rico government, Nikhol’s mother could be branded a child abuser, with social workers and officials from the US territory’s department of education combing through the family’s affairs. The reason is that Nikhol, at 206lb, is considered to be obese. And under the terms of the proposed legislation, which many experts say is unfair and unenforceable, her mother could be fined up to $800 if Nikhol fails to lose weight. What many families see as a cultural issue, others consider a national health crisis, supported by statistics from recent studies that show rates of childhood obesity on the island running anywhere from 24% to 30%. That compares to an average of 17% across the US, according to the Centers for Disease Control and Prevention. Such figures prompted Senator Gilbert Rodriguez Valle, one of Puerto Rico’s youngest and most popular politicians, to introduce the contentious bill which seeks to create a “healthy child programme”. If the bill became law, obese children would be identified in schools, and their families “educated” about the health risks and consequences of remaining overweight. If social workers believed there had been no progress after six months, they would have the authority to open a child neglect case and impose a fine of $500; if after a year they believed things were the same, another fine of $800 could be levied. Critics say the government is encroaching on territory it has no right to occupy. “The good thing is that he [Valle] is identifying the problem and trying to do something about it; the wrong thing is how he’s doing it,” Dr Ricardo Fontanet, president of the Puerto Rico chapter of the American Academy of Pediatrics, told the Guardian at his practice in San Juan. “First, he’s saying that if you have an obese child in the house, it’s synonymous with child abuse, and that’s completely wrong. You have to lose weight, sure, but to have the state coming to your home, looking at how you do things and charging you with child abuse is dangerous. 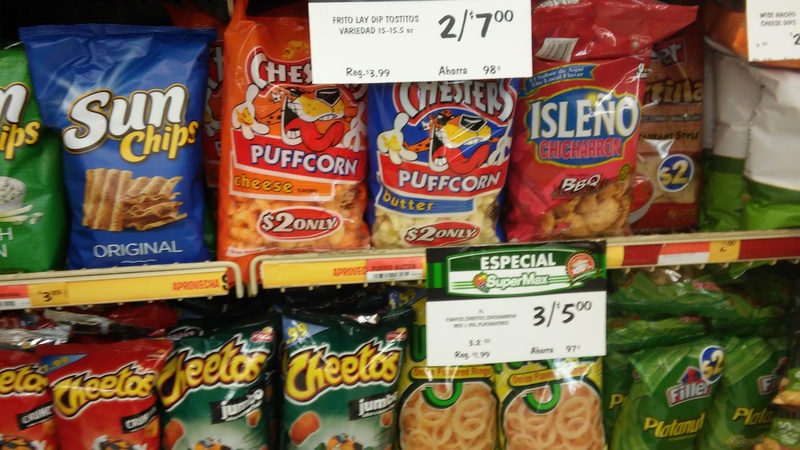 Other experts say the bill takes a “simplistic view” of the factors that cause a person to be overweight. Dhurandhar said lawmakers in Puerto Rico should ask themselves if they would impose fines against parents whose children had diabetes, asthma or cancer. Both doctors say an incentive-led programme would provide better motivation for children to lose weight than punishments for their parents – starting with improvements in diet and nutritional health. 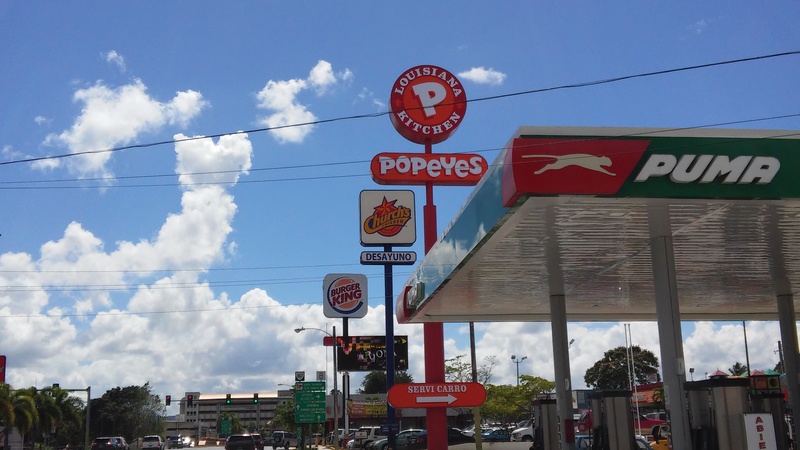 At the most recent count Puerto Rico, an island of roughly 3,500 sq miles, had more than 2,000 fast food restaurants. A study published by Caribbean Business in December claimed that 39% of the population, some 1.4 million residents, visited one at least twice a week. Encouraging parents to get their children to exercise more is also a challenge, Dr Fontanet acknowledges. The Puerto Rico government is battling a $70bn public debt crisis, and little money is available for maintaining parks and open spaces. “You see high grass, parks unsuitable for walking or playing, or for soccer, baseball, whatever the children want to play,” he said. Data from the 2010 census showed 56% of Puerto Rican children lived in poverty but more recent figures, notably a study last year by the Annie E Casey Foundation, suggested that up to 83% lived in a “high poverty area”. 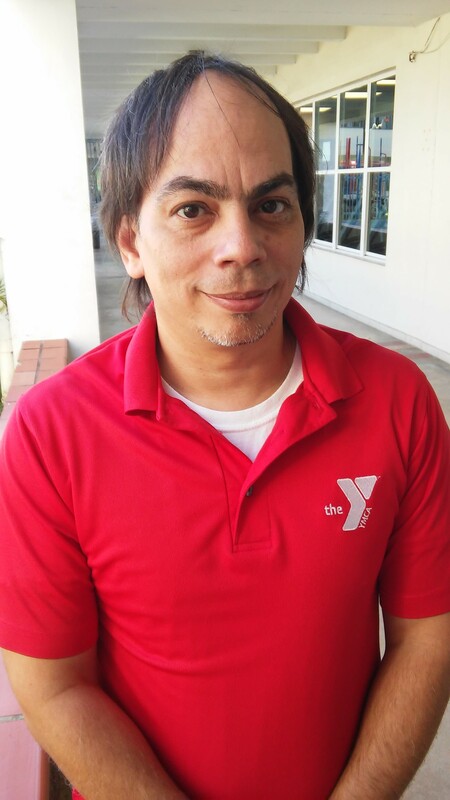 Ramfis Negron (left), the health and wellness manager at the San Juan YMCA, one of the island’s largest fitness facilities which runs exercise classes and programmes for children, agrees that finances play an important part in parents’ decisions. “When it costs $1.30 for a bottle of water, and 90 cents for a can of soda, what is that parent going to do?” he said. But he also believes that better education for parents costs nothing and that simple steps can be taken to improve children’s health. “We had a 10-year-old at summer camp who weighed 167lb,” Negron said. “I asked his mother if she took him to the park and she said no because she didn’t want him to hurt himself. Yet she sent him in every day with two slices of pizza for his lunch. She didn’t see that she was the one hurting him. Senator Valle did not respond to an interview request or questions about his proposals sent by the Guardian, but Dr Fontanet said he had discussed the measure with him and that the politician did not expect it to become law. “He said, ‘I just want to shake the tree so everyone sees this,’” he said. A number of public meetings will take place in Puerto Rico this spring, before debate continues in the island’s senate. Nikhol, meanwhile, has begun working with a nutritionist and taking more exercise in an attempt to lose weight, which she says is nothing to do with the proposed law. She has already lost 10lb, she says, and wants to be below 200lb by the end of the school year in June. Thwarted by separate inquiries that cleared FBI agent of wrongdoing, Ibragim Todashev’s family turns to the courts.